MANHATTAN, N.Y. - Nov. 28, 2016 - PRLog -- In the spirit of giving a gift that gives back this holiday season and in the evolution of a profit for good company founded by social advocate Kim Widener, WovenWell announces the launch of its On-line store www.wovenwell.com. Each purchase makes a difference, as 20% of the company sales will be given back to addressing mental health initiatives in meaningful ways. Watch this Welcome to WovenWell Video: https://youtu.be/rFj2jQAXdpE. The Profit for Good Company started with a piece of Ghanaian Kente Cloth, which was gifted to founder Widener as a hostess gift. 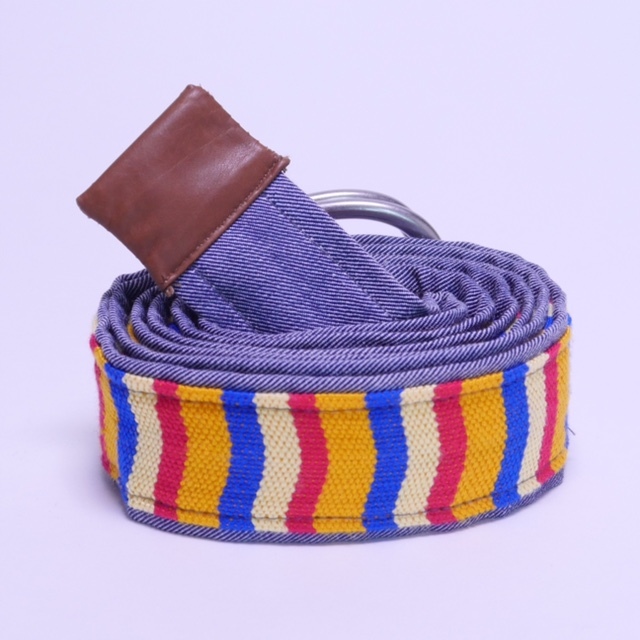 She quickly began cutting it up into the now Signature D Ring Kente Cloth Belt that has become synonymous with the emerging brand. Currently, items featured on the website include holiday stockings, tree ornaments as well as everyday lifestyle fashion and home accessories made from traditional Ghananian Textiles as well as Bolga baskets made famous by First lady Michelle Obama's trip there several years ago. 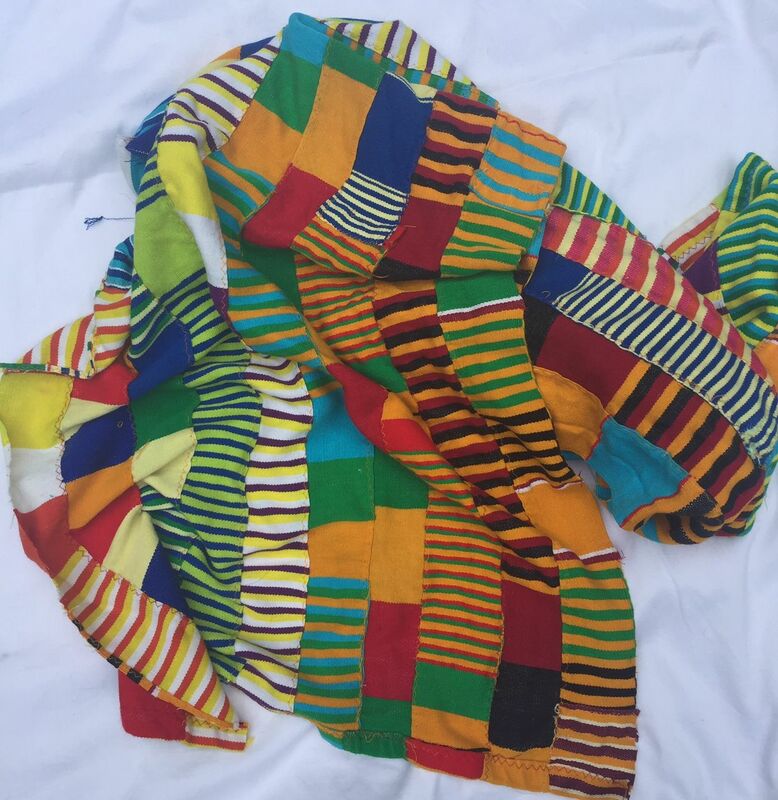 New items will be added weekly as the textiles hand sourced and exported from Ghana continue to be cut and sewn into popular fashion items or added as a signature accent to items recognized. "My goal is that the belt is a statement of an emerging global movement," states Widener. 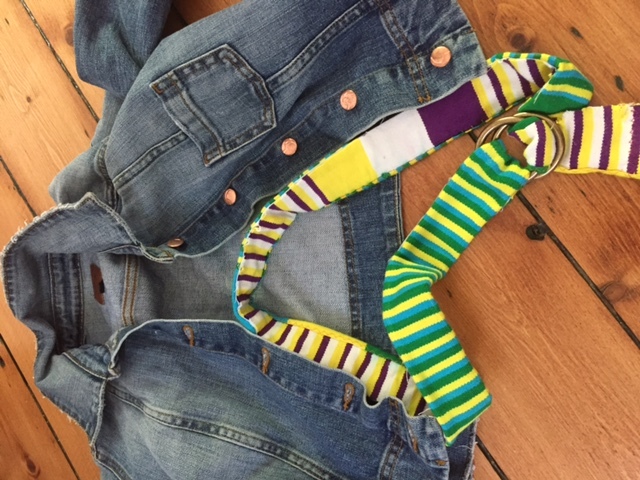 Materials for these items were regionally sourced from all over Ghana and will benefit the Ankaful Psychiatric Hospital, which Kim Widener and her team have adopted and began to fund initiatives there even before the merchandise was ready for sale. 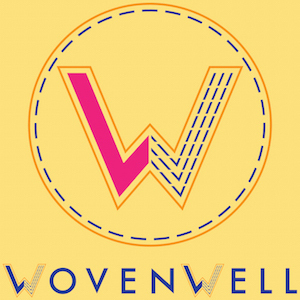 WovenWell products will continue to be made from materials in developing countries and will be cut, sewn and finished in the United States. Belts, scarves, pillows, wine bags, hand-woven baskets and more are great gifts that give back and retail at key price points under 20, 35, 50 and 75 dollars. In November, they debuted a seasonal pop-up retail space at TURNSTYLE in Columbus Circle, NYC with positive reception. Mental health initiatives need global support more than ever and Kim Widener has set out to do just that by creating the WovenWell profit for good company. 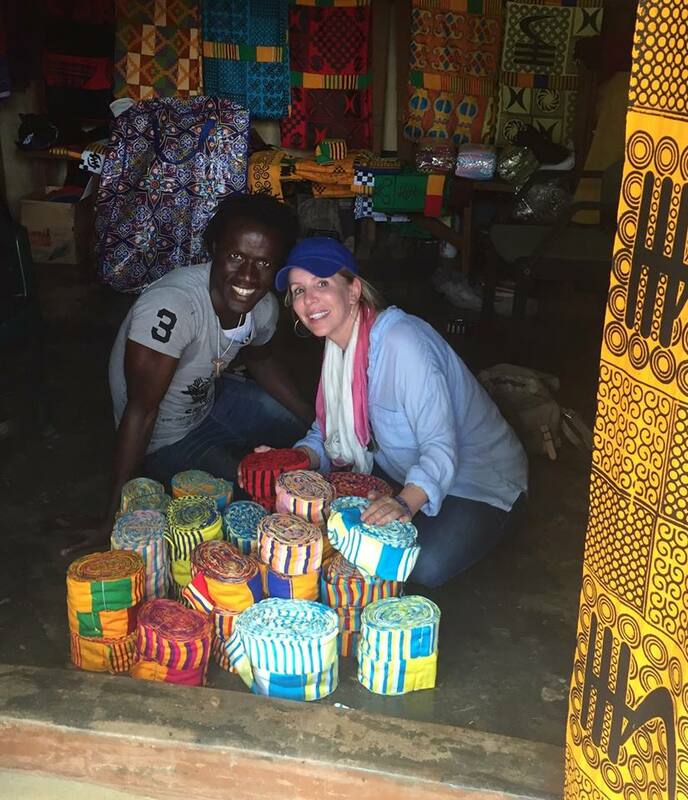 Kim's social advocacy led her to create WovenWell after a meaningful and inspiring visit from her friend Craig Carty, who is Chief Executive Officer of The Relevance Network, offering support for social and health development initiatives worldwide. "In Ghana, like many other low and middle income countries, we see numerous challenges around the provision of mental health services. One simple means by which to support beneficiaries of often-stigmatized psychiatric care in marginalized settings is to engage them in activities that provide opportunities to support themselves, and that they enjoy," says Craig. He continues, "What Kim and WovenWell have launched in the Cape Coast region of Ghana is a perfect example of how community engagement and social investment should work: suggest opportunities, make sure that they make sense for the beneficiaries, engage with local experts to inform best practices, and return profit share to keep the initiatives going." Why mental health? According to the WHO (World Health Organization), one in 5 people globally are affected by mental health issues. Addressing mental health is an important route to eradicate poverty and human rights issues. In countries like Ghana where stigma runs deep, people with varying degrees of mental and neurological illness needlessly become a burden on already exhausted resources. WovenWell uses local resources to give long-term psychiatric patients skills, hope and purpose while demonstrating to local communities that patients can contribute in meaningful, financially beneficial ways. WovenWell will also begin initiatives to use local health care professionals to educate local communities on having open conversations about mental health since it can be cured or mitigated if treated early, with the right care. Local, early care is an inexpensive method minimizing more expensive treatment down the road. The ultimate result: WovenWell undertakes mental health related projects one institution at a time, and the sales of these retail items they have developed will provide funding, with a significant portion of the proceeds going back to their partners in hospitals and facilities to aid the recovery and acclimation of the patients back to a better day to day quality of life for the mentally challenged. Their focus and premise is to engage meaningful activity that is essential for positive action. This is not a charity; rather, WovenWell believes in sustainable progress through creative collaboration. The emphasis is working in partnership with hospitals and their patients to enable confidence, purpose, inclusion and hope. As WovenWell begins to work, the tag line All Well & Good will be self-evident in what the company and its partners accomplish. About Kim Widener: Kim Widener, Founder & CEO of WovenWell, a 'profit for good' business with a heart, is dedicated to launch what will be a global mental health initiative one community at a time. After years of involvement in non-profit organizations and extensive experience in the business world, Kim has taken time to reflect on many issues surrounding 'giving' and 'aid.' She is now funding the production of signature fabrics from Ghana to increase social advocacy and raise awareness for mental health issues. A world traveler and mother, Kim considers WovenWell as the natural extension of her desire to find the missing link in the areas she cares most about – to enable confidence, purpose, inclusion and hope for others. She envisions a world in which mental illness loses its stigma and is recognized as a serious global issue that has an impact on all of us economically, politically and socially, whether or not individuals and their families are directly affected. WovenWell has retained Bettina L. Klinger and Susan Belfer for branding, marketing, public relations services, product development, and brand introduction and growth. For media inquiries, interviews, Collaboration or general information contact Bklinger@bkdeux.com, 917-930-8654.